Exfoliating Minerals has brought face washes to a whole new level. I've used all sorts of facial cleansers before so I thought I'd seen it all. 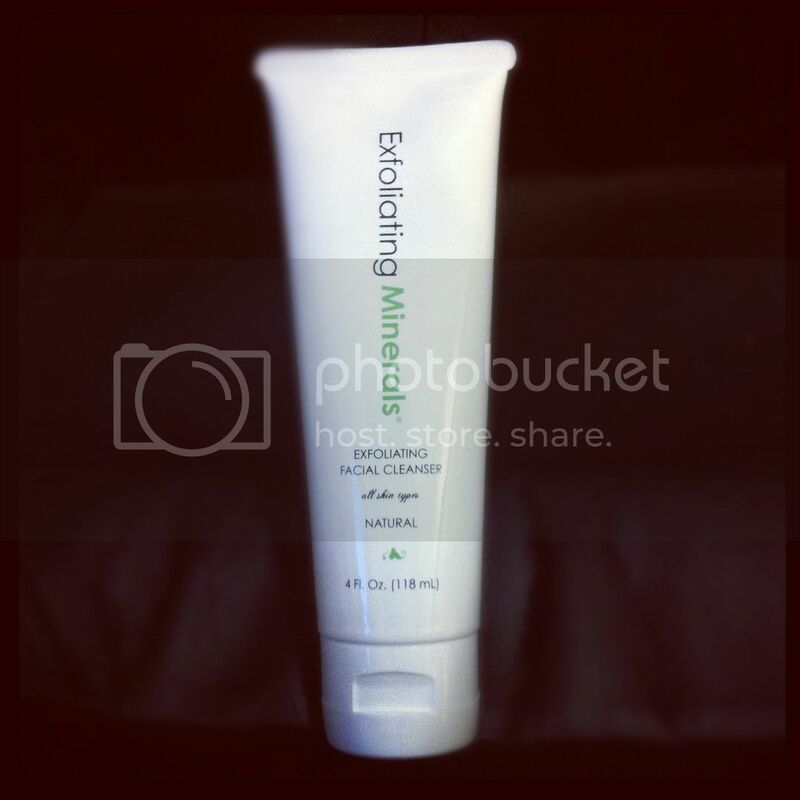 Then I was sent a tube of Exfoliating Minerals Natural Facial Cleanser to review. You know you're not supposed to exfoliate your face too often, right? Its not good for your skin. However, Exfoliating Mineral's daily AHA exfoliating facial cleanser is made with only natural ingredients so it's great for all skin types and gentle enough for daily use and as a make-up remover. It uses botanically based ingredients safe for you and the environment. What I found was that this cleanser was very watery so you don't really use too much at a time. It also carried a nice, light citrus scent which refreshed me as I cleansed my face. There weren't really any beads to it so it really is a gentle exfoliator and I noticed my skin didn't feel stretched out after using the cleanser, meaning it doesn't dry out my skin. Let's talk about the AHA. LOL, what is it? Alpha Hydroxy Acids (AHA) helps skin renewal several ways. It removes dead skin cells, hydrates the skin, increases collagen production, and improves the texture, providing a true gentle means of exfoliating. It is a little pricey in terms of the cost because it is a "natural" product versus man-made. However, it is the best of the best, good for your skin, and a perfect beauty aid for that diva in your life. Take advantage of the current 30% off sale. Buy It: Exfoliating Minerals Facial Cleanser is available in a 4oz tube for $48 or 3 tubes for $192. Currently on sale for $33.60 and $100.80. This sounds so good! I'm really impressed with their prices. It's not easy to find a quality facial product at a price that's reasonable. Thanks for posting this! I like that you don't need to use too much and that it doesn't have a heavy fragrance. I'm going to their website to learn more. Thanks! Yes, I do... I agree with what you said about using one brand and finding a better solution. With your description I would be willing try it therefore will bookmark their site. I would love to try this. Sounds like a good product. Thanks for the review. Very informative! Its great that you can use this daily without irritating your skin. Thanks for the review! I have to exfoliate at least twice a week. This is pricey- but I'd like to try it! Most exfoliators are too harsh for me but this sounds awesome.